YPSA has started implementing a new project YPSA-EU-SRHR (Creating and enabling environment for young people to claim and access their sexual and reproductive health rights in Bangladesh) at Panchari Upazilla under the Khagrachari district. The project funded by European Union and implemented along with Plan International Bangladesh as lead organization. 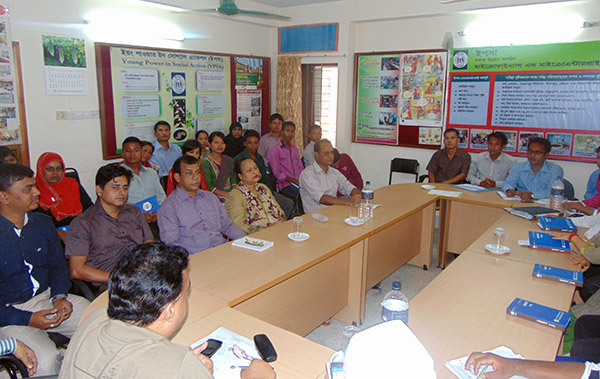 YPSA-HRD organized Project Staff Induction Meeting for newly recruited employees on 18 May 2015 at YPSA Head office conference room. Chief Executive Mr. Md. Arifur Rahman inaugurated the induction meeting. Mr. Md. Arifur Rahman discussed about organizational core values and culture including patriotism and commitment to national interest, sovereignty and national pride, mutual respect and gender friendliness, respect for diversity, support for environment and ecology, family friendliness, peaceful co-existence of different race, religion and class, teamwork etc. Mahabubur Rahman, Director (SDP) delivered his speech and discussed on field operation, staff coordination, reporting etc. Mr. Palash Chowdhury, Director (Finance) discussed about financial and compliance issues. Senior officials of YPSA Mr. Md. Shahajahan, Mrs. Nasim Banu, Mr. Md. Ali, Mr. Jashim Uddin and Ms. Roksana Begum discussed in the program. Mr. Abdullah Al Shakir, webmaster of YPSA gave a brief presentation on YPSA official website and facebook page. He discussed on how they would link their regular project activities with YPSA official website and facebook.